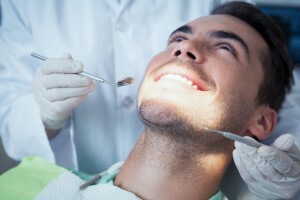 Your trusted dentist in Islip, East Islip Dental Care, discusses the benefits of digital radiography over traditional x-rays. Until 1895, dental and medical patients alike relied on physical examination by a doctor to determine the underlying cause of health concerns like broken bones, tooth decay, and bullet wounds. Unfortunately, this reliance lead to spurious beliefs about dental health such as the widely known fact that tooth decay was caused by worms that lived inside teeth. Luckily, in November of 1895, Wilhelm Conrad Roentgen stumbled upon the technology used in radiography today. In the past decade, many dental and medical practices have shifted to digital x-rays in much the same way people prefer digital images to rolls of film. At East Islip Dental Care, we offer patients the convenience and increased safety of digital radiography. This technology makes it possible for our team to safely and efficiently keep track of dental health during regular checkups. Many of us remember the traditional x-ray process. Numerous images were taken, and retaken when we weren’t able to stay immobile for the required amount of time. Practitioners attempted to minimize patient and employee radiation exposure. The result of these images was a “negative” image like those of 8 mm film cameras that then needed to be developed. Using harsh chemicals, dental team members developed this film, and created a set of exposures of each section of the mouth. In some cases, patients weren’t able to see their x-rays on the day of their visit. Consequently, the introduction of digital x-ray technology dramatically changed the way dentists use radiography. Digital x-rays take significantly less time to capture, expose patients and employees to 90% less radiation, offer higher quality results, and are available immediately for review or transfer between computers. There’s no doubt, the innovative digital x-ray technology has changed preventive dentistry for the better. Better images – the images produced using digital radiography are of a higher resolution than those captured with traditional x-rays meaning the dentist is able to more readily detect even minimal decay or damage and offer treatment at the earliest possible stage. Green option – because there are no hazardous chemicals or developing paper and storage rooms required, digital x-rays make it possible for dentists to keep track of patient’s developing dental health without adding harsh chemicals or excess paper waste to the environment. Easily transferred – no more headache moving x-rays between practices or taking physical x-rays to a specialist. Digital x-ray files are easily transferred. Make patients part of the planning process – the key to helping patients achieve and maintain the optimal level of oral health is making them part of their treatment planning, and digital images make this easier than ever. Patients are able to see x-rays right away, and review their smile in partnership with the dentist and team becoming active participants in their own treatment planning. If it’s time for your next dental checkup and teeth cleaning, contact East Islip Dental Care today. We look forward to seeing you soon.